EuroVA 2017 is history. We had an inspiring keynote talk and an exciting program with high-quality presentations. Many thanks go to the audience, the authors and presenters, the session chairs, the program committee, the keynote speaker, the EuroVis organizers, and our sponsor. EuroVA 2017 will be hosted in Room C – Sala d’Actes (FME building – Campus Sud). Maps are below. Additional information may be available at the main website of the EuroVis conference, here. A preliminary program for EuroVA 2017 has been set up. We will have four sessions, two on Monday afternoon and two on Tuesday morning. We are happy to announce that Raimund Dachselt will be giving this year’s EuroVA keynote. Raimund will be talking about “Natural Interaction for Enhancing Visual Analytics“. We are looking forward to an exciting workshop program at EuroVA 2017. The program outline will be posted soon. Please note that we allow in this year’s EuroVA submission process single-blind and double-blind submissions. We have compiled a great international program committee. We thank all people who agreed to serve on the committee! A first draft of the Call for Submissions is online. New are the possibility to submit to a special section, which will be on interaction this year, and to submit position papers. More details on topics are in the call below. The important dates are not yet fully fixed. EuroVA 2017 is the eighth international EuroVis workshop on Visual Analytics. It will take place June 12-13, 2017 in Barcelona, Spain. Visual Analytics is a problem-solving and sense-making technology that integrates analytical computations, visual representations, and interaction. It includes the analysis of complex (massive, dynamic, ambiguous, conflicting, …) data and information for gaining understanding, building knowledge, and inferring insight. Visual Analytics aims at a synergistic collaboration of humans and computers mediated through interactive visual interfaces. 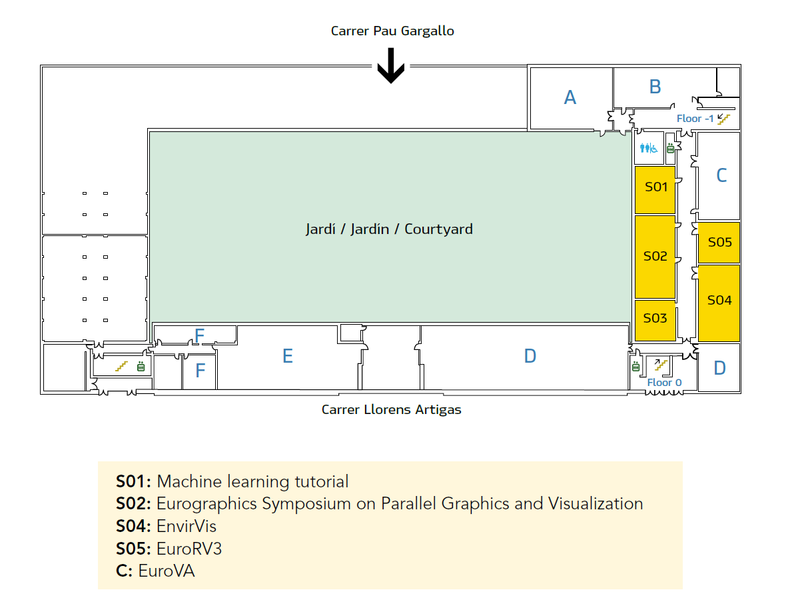 As such, Visual Analytics is an interdisciplinary field of research, including aspects of visualization, human-computer interaction, statistics and mathematics, data management and knowledge representation, data analysis and machine learning, cognitive and perceptual sciences, and more.EuroVA 2017 is the best place to present and discuss ideas of new methods and theories, interesting applications, designs, and studies of the use of Visual Analytics methods and systems. The workshop will accept a range of paper types, including technique, system, application, evaluation and theory papers in the area of Visual Analytics. EuroVA is an established workshop to present and discuss new ideas, methods and theories, interesting applications and designs, and studies of the use of Visual Analytics in practice. The workshop seeks to attract innovative, fresh ideas, not necessarily highly polished, but with high potential of becoming significant contributions to the Visual Analytics community. Position papers are problem discussions or statements describing the author’s relevant experience and ideas in regards to Visual Analytics. Position papers will be selected according to their importance and relevance for the workshop topics and how well they will fit the planned discussions. At least one author of an accepted paper must register and participate in the workshop to present the accepted work. The EuroVA 2017 Workshop Proceedings will be published by the Eurographics Association, and be stored on the Eurographics Digital Library.